High blood pressure is often called the silent killer because in the initial stages it presents with no symptoms. It is only after an organ in the body is irritated or damaged, that the consequences of high blood pressure are realized. Blood pressure is the pressure by which the blood is circulated in the blood vessels of our body. The heart which is a muscular pump supplies the pressure to move the blood and also circulate the blood throughout the body. The blood vessels (in this case the arteries) have elastic walls and provide same resistance to the flow of blood. Hence, there is pressure in the system, even between heart beats. "Nature's purpose" in keeping blood pressure at a certain level is to ensure that the blood which carries oxygen and various nutrients needed by the body is pumped (i.e., the pressure of the blood in the arteries varies) from one blood vessel to another. It is the highest in the larger arteries and lower in smaller arteries. It is also different at different times of the day. It increases during physical exercises, walking, mental stress and also sexual activity, and decreases when the body is at rest during sleep. The average adult has about five liters of blood flowing through the body via an intricate network of blood vessels called arteries, veins and capillaries. Blood is essential to life for it delivers oxygen from our lungs to our body tissues, and carries harmful waste to the kidneys to be removed. Blood also transports hormones from our glands to various parts of our bodies, as well as vitamins and nutrients from our digestive tracts. When our blood vessels become clogged due to a plaque buildup of cholesterol and fat, our hearts must work twice as hard to pump enough blood to our vital organs. This is what causes our blood pressure to surge. As the pressure increases inside of our arteries, veins and capillaries, our hearts become even more overworked. Over time, our hearts grow larger in an effort to compensate for the extra workload and eventually they become weaker. When you add obesity, smoking, or diabetes to the mix, the risk of heart attack, stroke or kidney disease for those with high blood pressure increases dramatically. This is why it is important to know what your blood pressure is. All levels above 120/80 mmHg raise your risk, and the risk grows as blood pressure numbers rise. " Your systolic and diastolic numbers may not be in the same blood pressure category. In this case, the more severe category is the one you're in. For example, if your systolic number is 160 and your diastolic number is 80, you have stage 2 HBP. If your systolic number is 120 and your diastolic number is 95, you have stage 1 HBP. Mild Hypertension: The systollic blood pressure ranges between 140 and 160 and the diastolic blood pressure ranges between 90 and 100. * Moderate Hypertension: The systollic blood pressure ranges between 160 and 200 and the diastolic blood pressure ranges between 100 and 120. * Severe Hypertension: The systollic blood pressure is above 200 and the diastolic blood pressure is above 120. * In 90 to 95 percent of high blood pressure cases, the cause is unknown. In fact, you can have high blood pressure for years without knowing it. That's why it's the “silent killer” When the cause is unknown, you have what's called essential or primary hypertension. In the remaining 5% or less of people with elevated blood pressure, a specific cause is known, and they are considered to have "secondary hypertension." Examples of causes of secondary hypertension include kidney failure, narrowing of the arteries to the kidneys, and various hormonal conditions. * Over 95% of people with elevated blood pressure have "essential hypertension." This means that the specific cause of their hypertension is not known. It is likely that both genetic (inherited) and environmental factors, such as your diet, play a role. The ways that all of the contributing factors interact to elevate blood pressure are not necessarily the same for each person. In addition, most of the genetic causes of hypertension are still a matter of research. 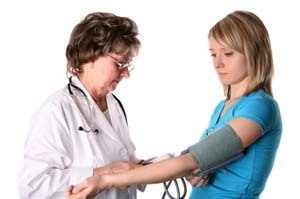 Therefore, for the time being, most patients with high blood pressure are considered to have "essential hypertension." People with high blood pressure should not drink alcohol. While studies have demonstrated that low levels of alcohol intake can have protective effects for the heart, and can possibly reduce the risk of developing high blood pressure. Alcohol directly raises blood pressure, and further acts to damage the walls of blood vessels, which can elevate the blood pressure further and make it more difficult to treat . In some people, eating too much salt can make high blood pressure much worse. In others, the same salt consumption may have no effect. This, combined with the fact that too much salt is bad for the heart regardless of blood pressure status, means that reduced sodium is a strongly recommended part of a healthy diet. . Saturated fats, especially trans-fats, are bad for both the heart and blood vessels. Because the circulatory system is already under a lot of stress in the setting of high blood pressure, extra strain can be devastating. Consuming garlic is very effective in decreasing high b.p. , it prevents deposition of plaque in the arteries. Drinking lime water with honey 4-5 times a day preventing hypertension. 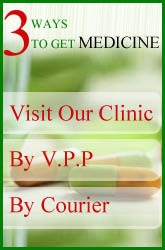 Amla is very effective in treating high b.p., you can eat amla or can take in juice form in the morning empty stomach. Intake of water melon is effective too in treating high bp problem. Parsley regulates the flow of blood in blood vessels and maintains easy circulation. Alfalfa is very useful herb for lowering down the b.p. level. Intake of 2-3 spoon of onion juice with honey also helps in b.p. Take 1-2 table spoon powder of dry water melon seeds with water also helps in maintaining b.p. level. Carrot and spinach are also helpful in reducing high b.p..to be taken in juice form. Consumption of tulsi leaves and neem leaves empty stomach in the morning also works good	. Walking barefoot on green grass daily nthe morning helps in b.p. Intake of grape juice reduce high b.p. levels. Keeping stomach clean, reducing salt intake, and adequate sleep control high b.p. Intake of 1 tea spoon powder of ashwagandha with milk reduce high b.p. levels. Sweet neem juice (curry patta)help in reducing b.p. Bottle gourd juice also helps in lowering down high b.p. Drink water in copper vessel in the morning also works good. ( the copper vessel must be put on wooden surface all night filled with water). Drinking petha juice (ash goud) empty stomach help in reducing b.p. Intake of triphla helps too in reducing high b.p.